Jiang Dingzhi was elected governor of the island province of Hainan on Monday at the fifth session of the 4th Hainan Provincial People’s Congress, the local legislative body. 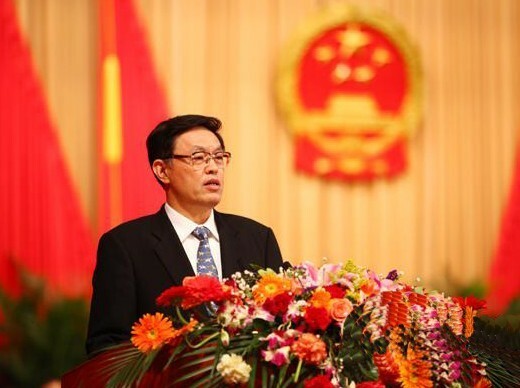 Jiang, born in September 1954, had served as Hainan’s acting governor in August last year after the local legislature approved the resignation of his predecessor Luo Baoming. Jiang, a native of Liyang in Jiangsu, had long worked in the eastern province before moving to the island in south China. He had served as vice chairman of the China Banking Regulatory Commission from 2005 to 2010. His political career in Hainan began in December 2010.